Priyanka’s eyes light up when she sees her baby give hi-fives and wave goodbyes. Her heart fills with happiness thinking that her one-year-old will grow up to be a smart baby. 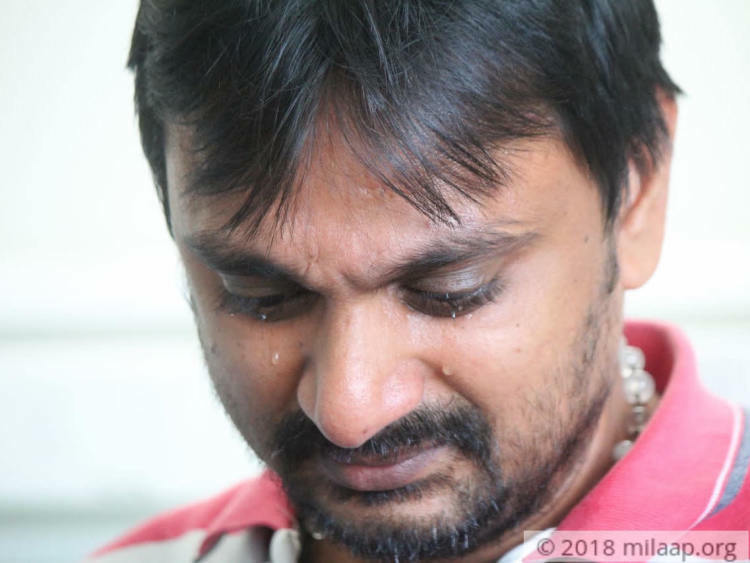 But reality soon strikes her and happiness soon gives way to worry; she knows that Baby Keerthikashree, is after all, not healthy like normal babies. 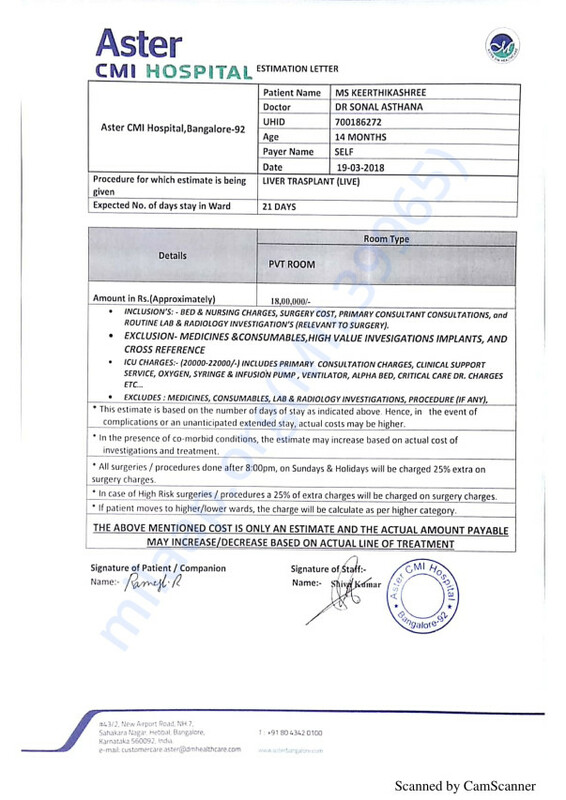 She has a severe liver disease that can kill her without treatment. 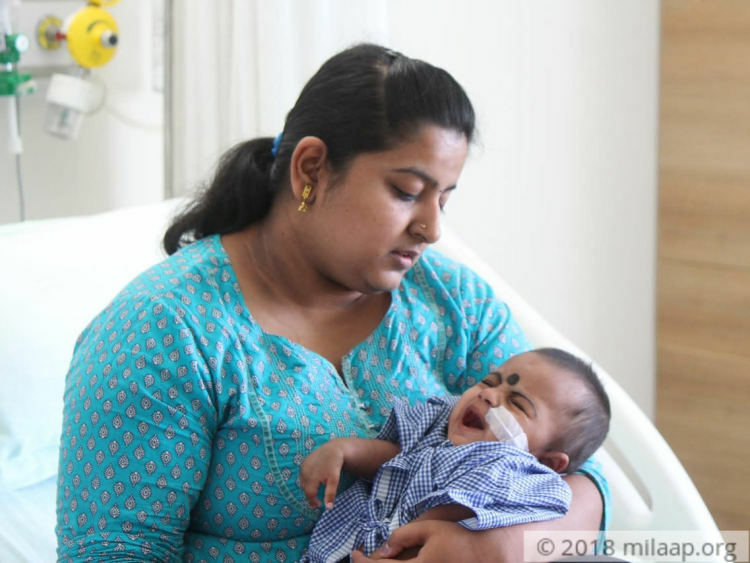 Priyanka had a normal pregnancy and delivery; the baby also did not seem to have any issues. However, on the third day after birth, the new mother noticed that her baby’s breathing was fast-paced and abnormal. 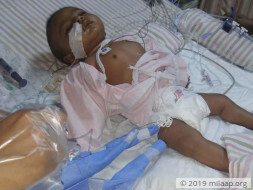 The infant had to be rushed to the NICU because she couldn’t breathe properly. 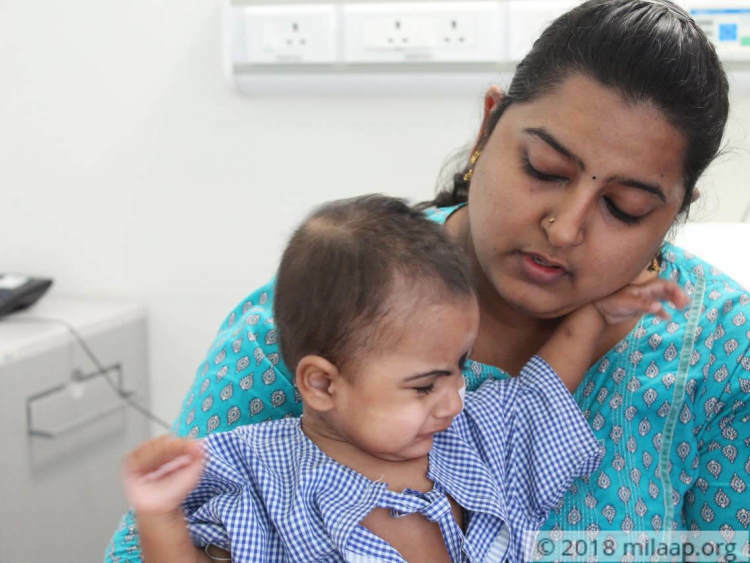 Baby Keerthhikashree cannot eat any form of protein because of her liver disease, including milk and milk products. Her body will not able to digest it and it can fully shut down her system as well. Her mother, Priyanka, makes sure she eats only Cerelac and formulated milk. This has adversely affected her growth. Despite being on strict diet restrictions and her mother caring for her well, this baby’s fate is to be admitted in the hospital quite regularly due to multiple problems. 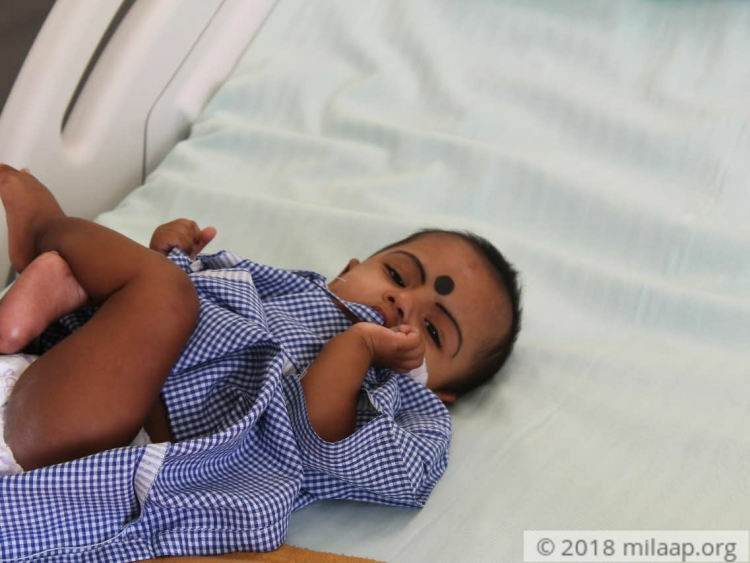 Getting a new liver is the only way that Keerthikashree can grow up to be a normal baby. Her bad liver cannot sustain her anymore. Her health complications will only get worse with age, so she cannot go on like this. 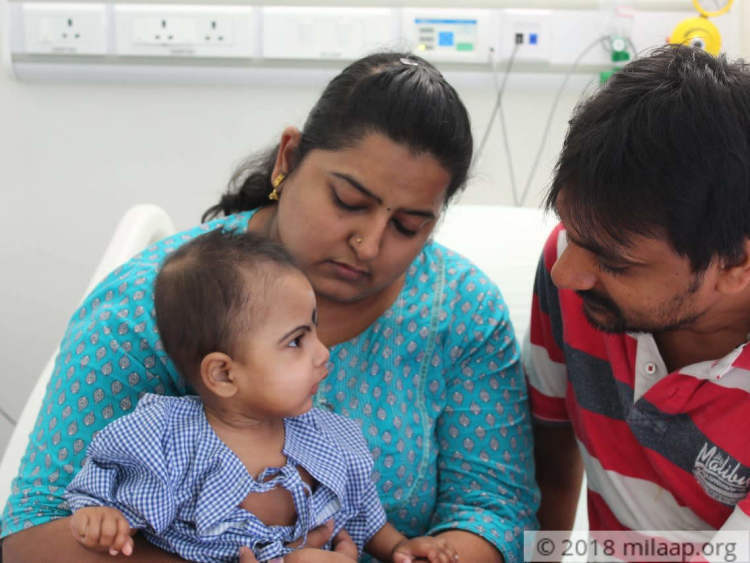 Her parents Ramesh and Priyanka know this very well, but they have been spending a lot to keep her alive till now that this transplant is completely out of their reach. 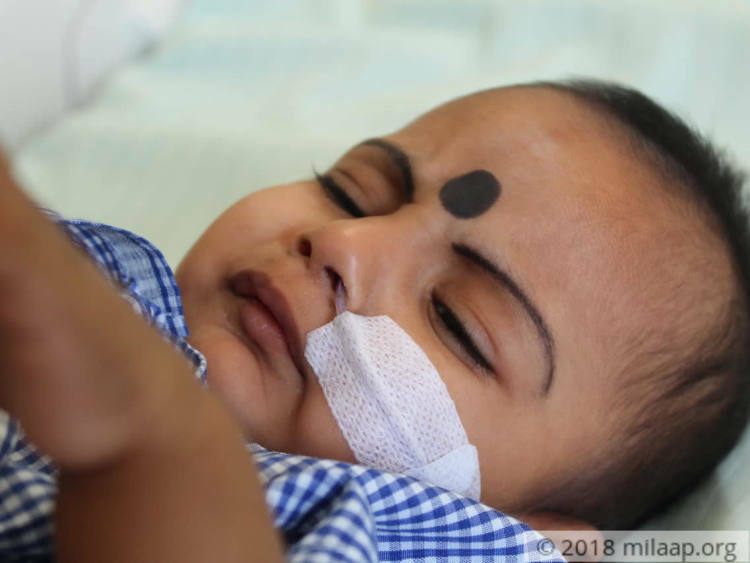 Keerthikashree’s father, Ramesh works in a private company and earns a modest salary that is not enough for the baby’s regular hospital visits itself, let alone an expensive transplant. 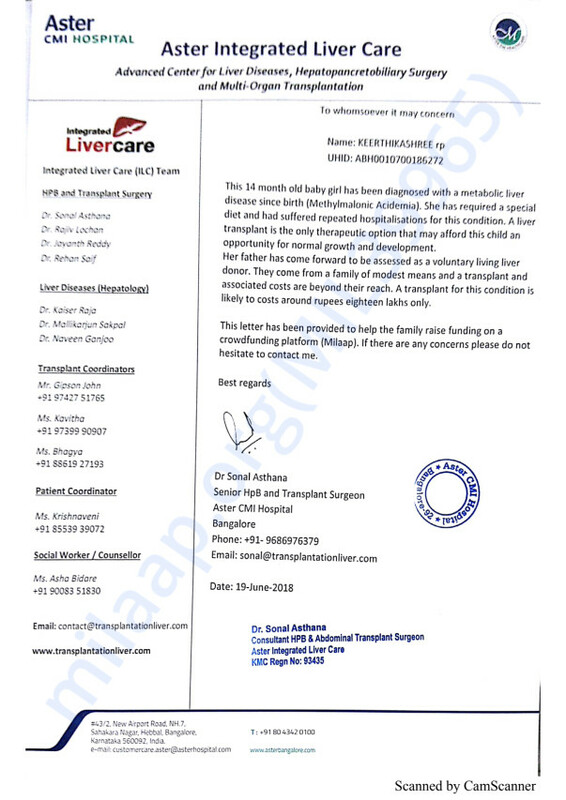 The hospital has been very kind to this family in letting the baby have free physiotherapy sessions, but they need money to fund the transplant at the earliest.